I've been seeing something about a header builder with Pro. I'm not a web designer, and therefore don't need multiple licenses. This is just for my own site. Do I need to upgrade in order to be able to experiment with a larger logo? Or would you suggest using a different stack altogether? I love Renew but this is so limiting. 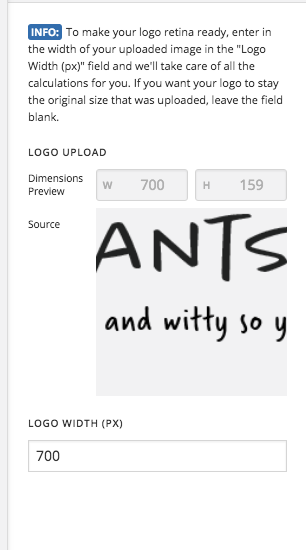 I can see your logo width has been set to 350px. 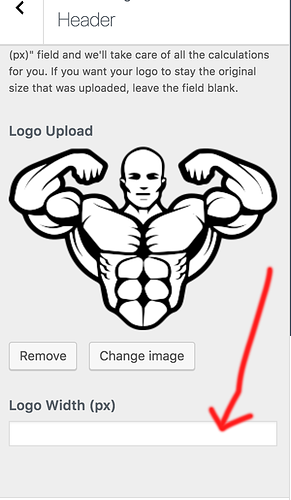 To change the size please go to x->theme option -> Header and in the logo section please put your size you want. You can certainly update your license to Pro, Before updating we would like you to check the Knowledgebase for feature clarification. You can change 700 to 350. But I just told you that I have already done that before I ever started this thread. View my screenshot above please. If you look at the original question I want it to be 700 but it is only 350 even though I have set it to 700. Please review my original question. How can I get it to actually render at 700px when it is already set to 700px but only renders 350px? This is frustrating. 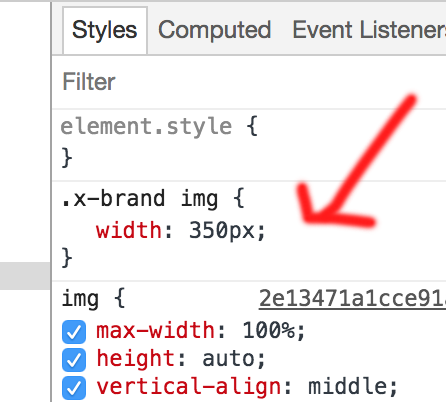 I checked your website and the front end code is still on 350px. Please make sure that you do not have any cache plugin or if you have any please purge the cache to have the correct front end generated code. Also please go to X > Settings and click on the Clear Style Cache button. If you still have problems kindly get back to us with the URL/User/Pass of your WordPress dashboard using the Secure Note functionality of the post to follow up the case. I followed the steps you suggested, with no luck. 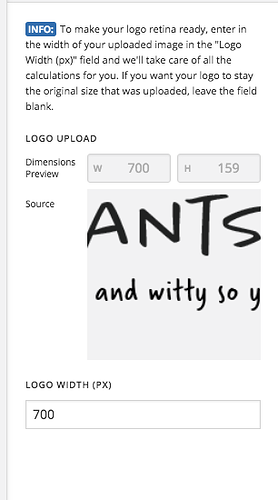 I still see the 350px when I inspect the logo element with Chrome. 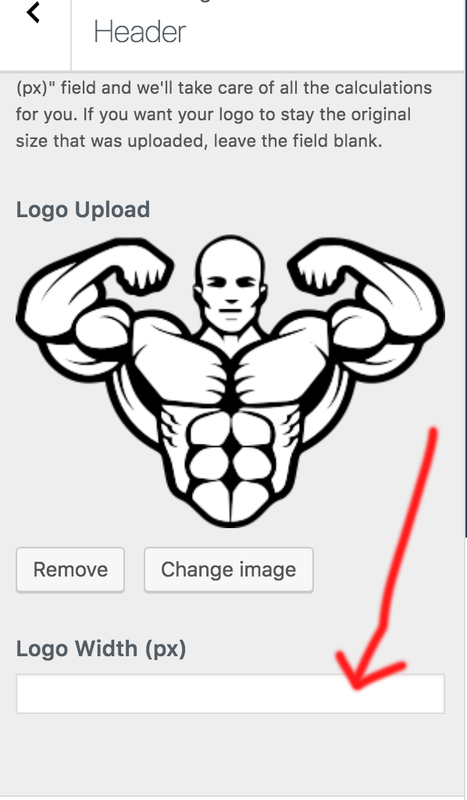 Although 700px may be way too large for the logo, I am very interested in removing the 350px part so I can actually control the size. You are correct about which site it is. I will give you the information you need to log in. I really and truly appreciate it. I'm baffled. I removed the width and it works fine. It was the cache which was causing the issue! Oh my GOSH! Thank you! It's so confusing, because I was deleting cache over and over. 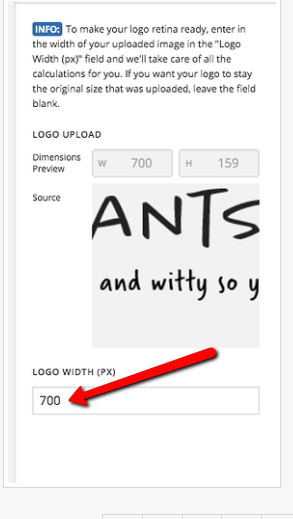 I never thought of taking out the width, since it was already 700px. Anyway, this is great. Now I can experiment with sizing. I really appreciate the help.